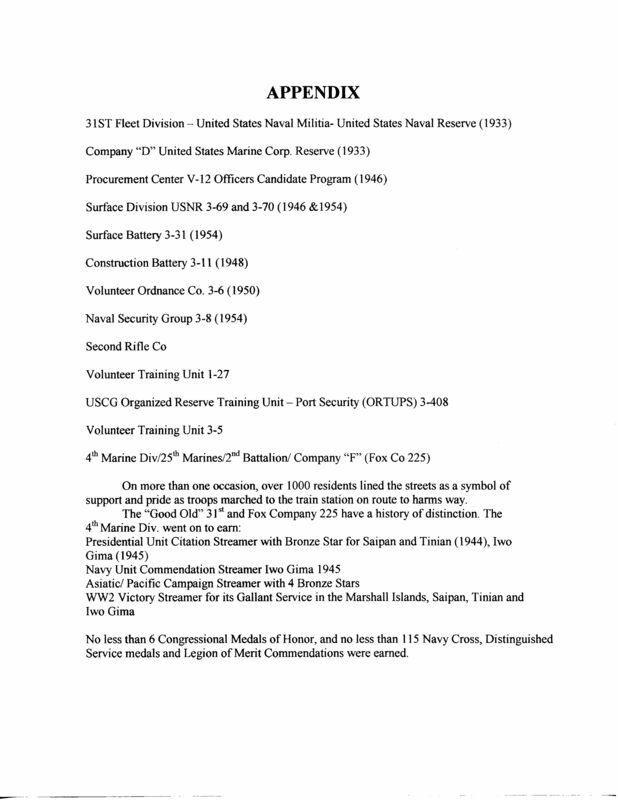 « Veterans Career Fairs at the Armory? Why Not? But Until Then…. 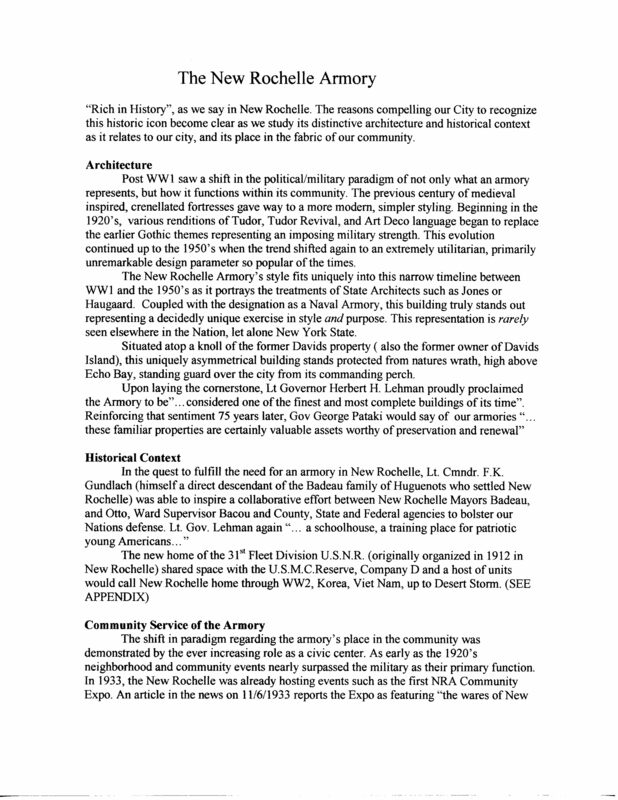 The City of New Rochelle is accepting nominations for the 2012 Heritage Awards. 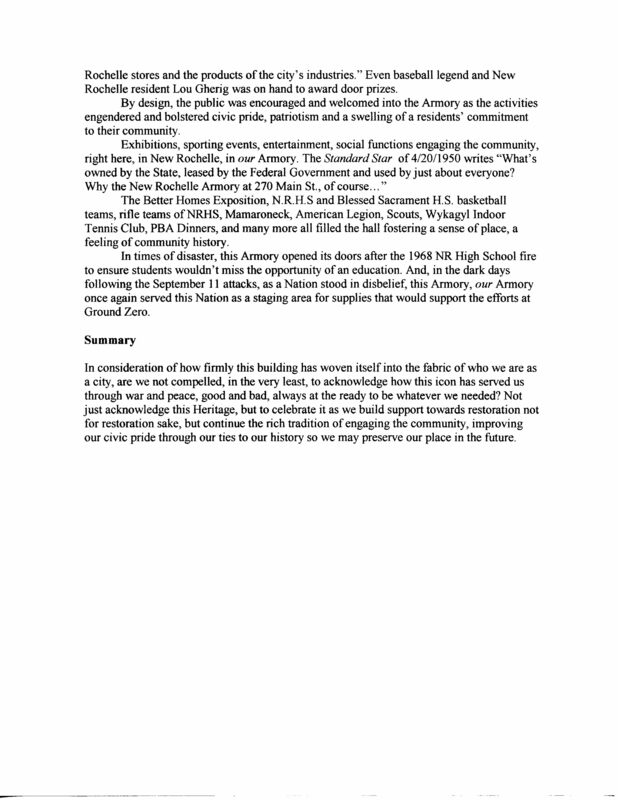 To that end, we at the Save Our Armory Committee are proud to nominate the Armory for the City’s consideration. We do this on behalf of all the supporters/residents who have chosen to keep this historical building in the public discussion. Our goal is to return this building to the public domain and allow this unique possession to continue its service to the citizens of this city. To acknowledge the rich heritage and history of our city we need to be vigilant in our effort to preserve the past as we build our future. The Heritage Award is just one more step in raising our collective awareness and keeping this issue in the public discussion. To quote the Mayor, “By raising public awareness about our past, we help ensure that historic charm remains a vital part of our future. The Heritage Awards assist in accomplishing this goal by celebrating distinctive properties that reflect New Rochelle’s rich architectural history”. I couldn’t have said it better myself. The application requests the owner of the property to submit the forms. As it is “city owned”, I would make the case that we the citizens are the owners. We are “the city”. You can read the application and details by clicking on the links below.